Potential customers are looking at your website and reading the content on it to determine if your business is a fit for their needs. To earn their trust and win their purchases, you need to provide a great on-site experience, complete with answers to their biggest questions. Just like any other sales and marketing efforts, Content marketing can be a valuable tool if used properly, but can also turn into missed opportunities if poorly managed. At the bare minimum, content needs to be readable. That means proofreading for grammatical errors, typos and clarity. However, the bar has been raised on what’s considered ‘quality content.’ For brands to stand out from the pack with their articles, they need to publish content that’s better and more useful than what already exists. No one wants to realize halfway through an article that what they’re reading is really just a product promo. If your content promises something educational or entertaining, it needs to deliver on those expectations. The bait and switch has no place in your content strategy. It will turn readers off and leave them with a bad impression of your brand. Content needs to contain notable information to be effective. Readers won’t be impressed if they spend their time on an article that doesn’t provide any takeaways or tell them something unexpected. It’s a no-brainer that content needs to be interesting to influence readers’ impressions and decisions. Does your content say something new, or does it regurgitate facts and ideas that are already floating around the web? Anyone can say “Buying a home is challenging” or “Your business needs to harness the power of data to become more successful.” You may not want to give away your business’ secret sauce, but you do need to offer readers something they didn’t know before and can’t find somewhere else. It’s understandable that you want to impress the people reading your blog, but most people have a jargon threshold. A problem we see too often is that marketers want their blogs to sound smart and use overly technical language to target a high-level audience. What happens as a result is that the blog comes across as stiff and complex – not enjoyable to read. The substance of your content needs to be good, but so does the delivery. 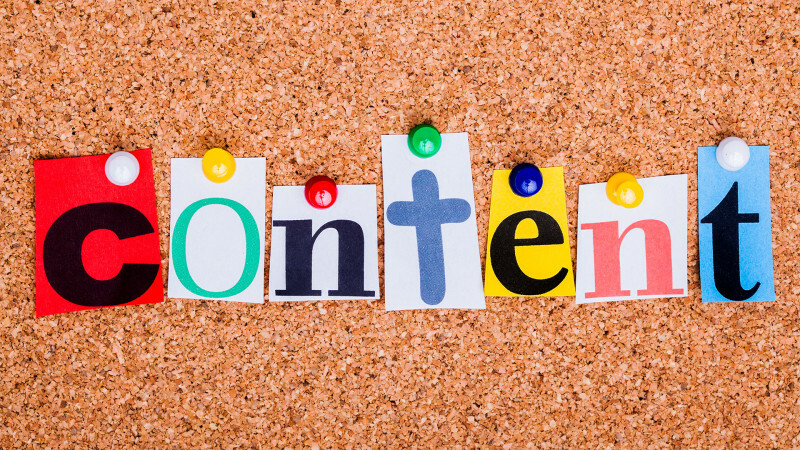 Content must be technically correct, but also engaging. If the format is too vanilla – a block of small text on a page – your target audience won’t read it, no matter how interesting it is. A written document detailing technical processes might be boring. But a dynamic presenter providing the same information in a video is much more engaging. It’s all about the presentation. Anyone can publish information online, and that’s made readers understandably skeptical. Readers don’t just want to take your word for it. They can’t afford to. Execs looking to make business decisions need research that supports claims and data to prove that ideas are credible. Your website’s content is shaping buyer’s decisions even before you get a chance to speak to them. The way to impress your target audience is through thoughtful articles that answer their questions, teach them something new and do it in an engaging way.